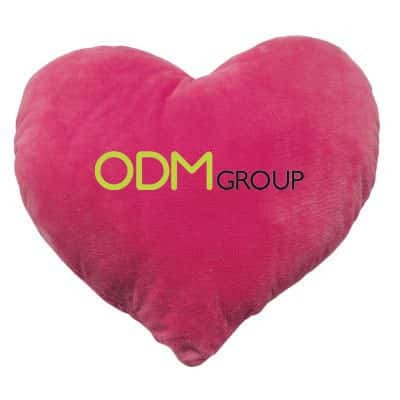 With Valentine’s Day around the corner, a great marketing idea to consider is giving away a heart-shaped cushion as promotional gift. A heart-shaped cushion is a plush toy in the shape of a heart, which ties in with the Valentine’s season. Customers who receive this promotional gift may give it to their loved ones for Valentine’s Day. Why the marketing idea of a heart-shaped cushion? Having a heart-shaped cushion as a promotional gift helps the company to show that they are keeping up with the upcoming celebrations. It entices more customers to make purchases as many people are looking forward to Valentine’s Day and tend to be attracted to related emails. Many benefits can be realised from having such a marketing idea. The first benefit is that customer satisfaction would increase. Receiving gifts makes the customer feel good. Offering promotional gifts helps customers feel that the company values them. When customer satisfaction is increased, an increase in customer loyalty would naturally follow. Another benefit would be an increase in brand awareness. The heart-shaped cushion is a gift that customers would keep with them for a long period of time. The company can have its logo embroidered on a small section of the cushion as well. Lastly, the marketing idea of the heart-shaped cushion is an effective tool for advertising. When friends and relatives of the customer see the heart-shaped cushion, they would ask him related questions such as: ‘Where did you get this from?’, ‘It’s for free?’? All these questions serve as a platform for the brand to be promoted. Who can make use of this marketing idea? This marketing idea is suitable for any organisation to use. However, it would be best to tie up this promotional gift with a Valentine’s Day-related product.